When I ride my bike, I like to be able to know which gear I am currently riding in. For many new shifters, the optical gear display is no longer part of the shifter. The usual reason given is that the high end shifters are for the pros, and they don't need to know the selected gear. Rather, they judge by how hard they need to pedal, and change their gears accordingly. That is true, but still, I like to know the gears, so that when I shift up or down, I know which gear I am in, and how many more gears are available. 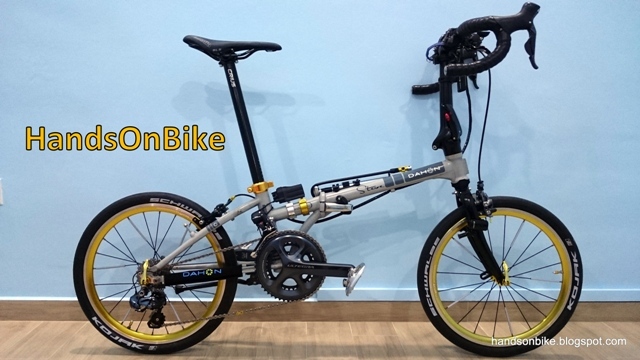 A couple of years ago, when I first installed the Ultegra 6770 Di2 system on my Dahon Boardwalk, I also installed the Alfine Di2 Digital Gear Display, which was great because it provided a nice and clear digital gear display. However, in the recent upgrade to 11 speed Ultegra Di2, this Alfine gear display can no longer be used as it is not compatible with the other components in the setup. This means no gear display on the bike. Luckily for me, there is actually a way to get gear display on the bike, and this requires some new add-ons to the Di2 system. Shimano has a new wireless unit, which is called D-Fly. What it does is to enable wireless transmission of Di2 gear and battery data, via ANT+ protocol. With a suitable ANT+ receiver such as the Garmin Edge 510, it would be able to receive and display the gear data from the Di2 system. Very small sized, and only weighs about 5 grams. One input and one output port. This D-Fly unit is designed to be installed in-line with the Di2 wires. This means you can install it between any two of your Di2 components. It comes with a rubber strap to wrap the D-Fly unit around the chainstay, and it has two different rubber shims (with different curvature) to fit between the D-Fly unit and the frame. As this D-Fly unit will be installed in between two existing components, this means that an extra Di2 wire is needed to complete the setup. Although it would allow quicker setup if the D-Fly unit comes with its own extra Di2 wire, the reason why it does not is because there is no way to determine what is a suitable Di2 wire length to include, as it depends on the frame type and the placement of the D-Fly unit. Better to let the user determine and purchase the correct length of Di2 wire separately. Shimano recommends installing the D-Fly unit on the right side seat stay, in between Junction B and the Rear Derailleur. In actual fact, it can be installed practically anywhere in the Di2 system, in between two components. One thing to take note is that the D-Fly unit should not be installed internally in the frame, as the frame may block out too much of the wireless signal to make it usable. Again, this is not entirely impossible, just that it will take some experimentation for it to work. I decided to get the shortest Di2 wire available, at only 150mm. The price is the same regardless of wire length. As you can see, the wire is really very short. Useful to avoid too much slack wire hanging around. As shown below, here is a setup diagram of the 2x11 speed Ultegra Di2 system on the Dahon Boardwalk. With this graphical illustration, it should be very clear how this system is wired up. The wire lengths have also been included for reference. After experimenting with a few mounting locations for the D-Fly unit, I have finally decided to mount it on the seat tube, beside Junction B as shown below. This way, it is less obtrusive and hides nicely along the frame. Final mounting location of the D-Fly unit. Secured with a longer rubber strap as the original one is too short. The D-Fly unit is located in between Junction A and Junction B. There is a long 1200mm wire from Junction A to D-Fly, and then a short 150mm wire from D-Fly to Junction B. The short 150mm wire from the D-Fly unit leading into Junction B. With the D-Fly unit connected and working properly, the gears can now be displayed on the Garmin Edge 510! Setting up the ANT+ connection was a little troublesome, but it is only a one time setup. Subsequently, the Garmin will automatically detect the Di2 data from the D-Fly unit once the first gear shift is made. 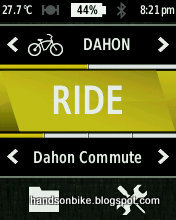 Gear display will be available when I select the Dahon bike profile, which is linked to the D-Fly unit. 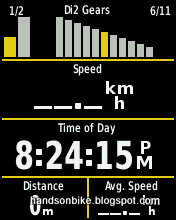 The simple but great looking Di2 gear graphic found on the Garmin Edge 510. As shown above, the graphic represents the chainrings and the cassette on the bike. In this case, the selected gear is front low, and rear gear 6. With this new D-Fly unit in the Di2 system, I have a digital gear display that I like. The gear display has essentially been incorporated into the Garmin unit, which allows the Di2 gears and the other parameters such as speed and distance to be displayed all on the same screen. 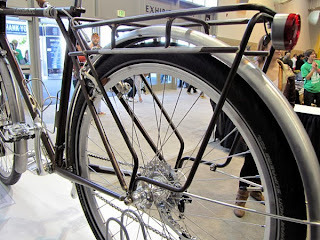 This also saves space on the handlebar. Other than showing the gear position, it also logs the selected gears with respect to time. This means that for cycling videos with Garmin data, it will be possible to display Di2 gears on the video overlay. Here is an example from another user. Another small benefit is that the Di2 battery level can also be displayed, making it easy to check the battery level. With this addition, the Di2 system upgrade is complete! 2x11 speed Ultegra Di2, with wireless gear display is definitely overkill on most bikes, especially for the humble Dahon Boardwalk. I am so glad to have had the chance to upgrade this bike for as far as this. Nice write up! Very thorough!! Great work ! Last time I asked you about store selling D-Fly, and you told me about Hup Leong Company. Do you have any recommendations about stores near Jurong selling the parts above? You can email me, if you find it more comfortable. Thanks. Can try Rodalink at Tradehub 21. If they don't have stock,then probably have to buy it online.